Additionally, we’ve moved the downloadable datasets to their own pages, rather than be located on the dashboard pages themselves. 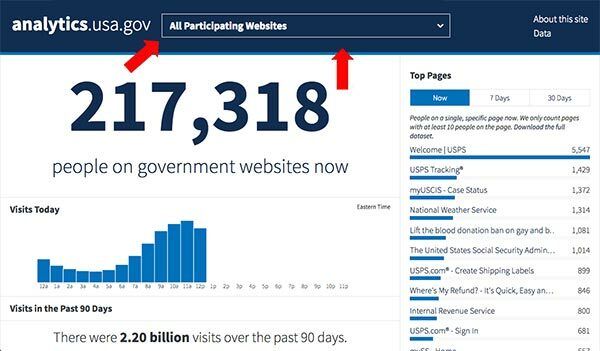 The page to download aggregated data for all participating sites is now analytics.usa.gov/data, and each agency-specific page has a corresponding data page, as well. We’re excited to offer the public this expanded view of web analytics data, and we hope you find it useful!